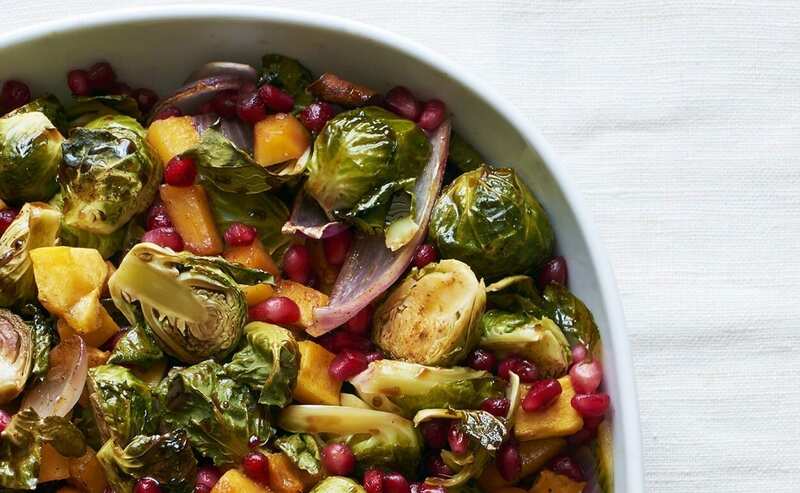 Why are brussels sprouts so awesome? To start off with, they’re so jammed-packed with nutrients that they’ve been considered as one of the ‘Worlds Healthiest Foods’ by numerous associations over the years. Here’s 21 reasons why. (Alongside their Daily Recommended Intake (DRI)). It’s a real pity that most people only whip these bad boys out for Christmas dinner. A lot of complaints stem from their lack of taste, or the fact that they are often over cooked, or production of gas in the digestive system. However, they’re no more inclined to produce gas than your average bean or cruciferous vegetable, so don’t pass up on them in fear of farts for heavens sake! To help inspire and re-introduce these wonderful veggies back into regular cooking, we’ve compiled a list of our all-time party favourites. Spoiler alert: They’re mouth-wateringly good. 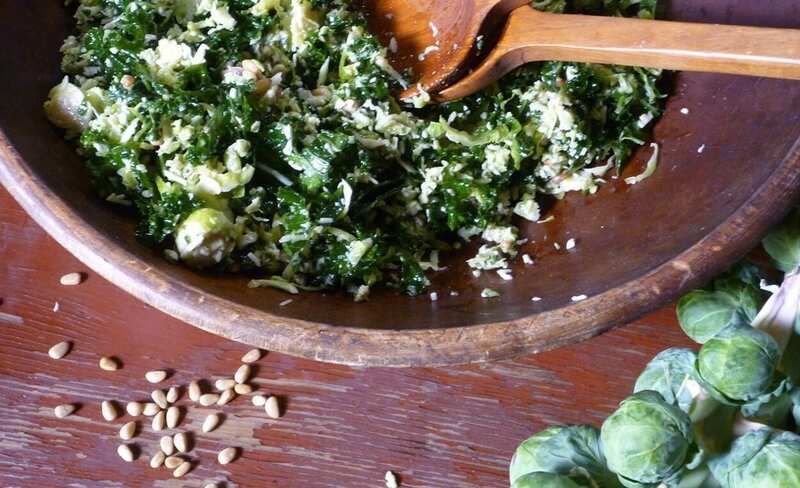 This recipe adds a gorgeous splash of sweet-smelling colour to the table and turns the heads of sprouts despisers everywhere. This recipe is great as it is, but also fun to play around with. 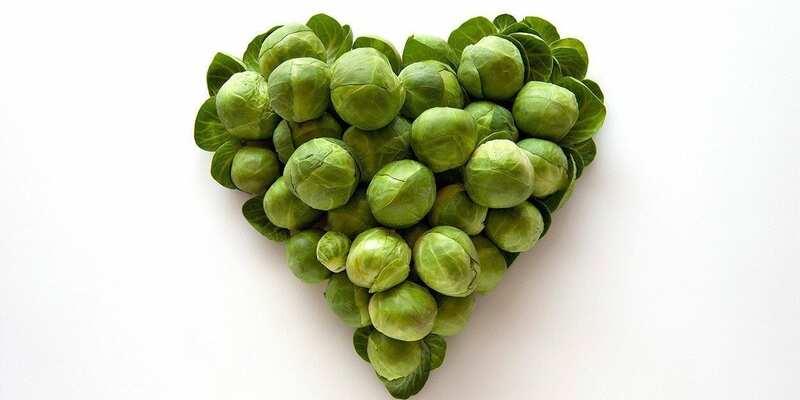 I like adding a good sprinkle of pine nuts to any brussels sprout dish before cooking. I think it really draws out the flavour and adds richness to the dish. Try it with this one if you’re nutty like me! Preheat the oven to 400°F (204°C). Use a knife to lop the top and bottom off the squash. Slice the skin off the sides, then cut the squash in half lengthwise and remove the seeds. Chop into small pieces. Divide the squash between 2 baking sheets. Trim the Brussels sprouts, then cut them in half if desired (or you can leave them whole). Arrange on the baking sheets with the squash. Break the quartered onions apart and add them to the baking sheets. Drizzle the vegetables with the olive oil. Season with salt and pepper, sprinkle with the chilli powder and toss. Roast 30 to 35 minutes, or until browned. Take the vegetables out of the oven and tip into a serving dish. Drizzle with the molasses and sprinkle on the pomegranate seeds. Toss and serve immediately. Preheat the oven to 400°F (204°C). Trim the stem ends from the Brussels sprouts, and halve lengthwise. Put them in a medium bowl, and toss with 1 teaspoon salt. Lay the bacon strips next to each other on a work surface. Brush liberally with about 1/2 the maple syrup, then halve crosswise. 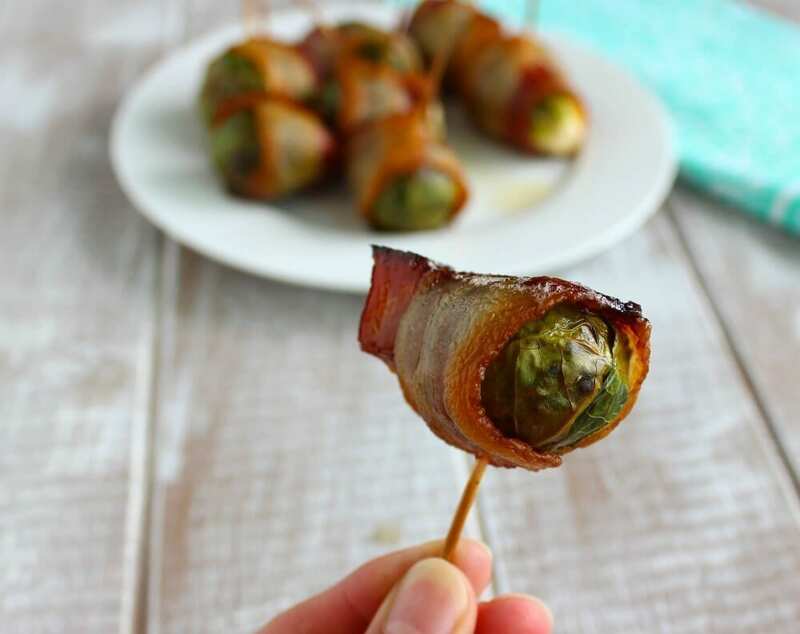 Wrap each Brussels sprout half with 1 strip of bacon, syrup-side out, so the seam is on the flat side. Place the sprouts seam-side down on a rimmed baking sheet, leaving a bit of space between them. Brush them with a bit more syrup, and grind a little black pepper on top. Roast, rotating the baking sheet halfway through, until the bacon is crisp and the sprouts are tender when pierced with the tip of a knife, about 30 minutes. Meanwhile, mix the mayonnaise, most of the lemon zest and all the lemon juice in a small serving dish. Sprinkle the remaining lemon zest on top. Put about 1/2 cup maple syrup in a second small serving dish, and stir in as much black pepper and crushed red pepper flakes as you like. Transfer the sprouts to a platter, and serve with the lemon mayonnaise and peppered maple syrup, for dipping. In a food processor fitted with a slicing blade, shred the Brussels sprouts. Next, shred the kale. Add the garlic and shallot and shred. (Alternatively, shred and mince the vegetables with a knife.) Set aside. In a large bowl, whisk together the pecorino, olive oil, pine nuts, mustard, lemon zest and juice and salt and pepper to taste. Add in the shredded vegetables and toss well to combine. Let the salad sit for 10 minutes before serving to allow the dressing to permeate the greens. Interested in Nutrition? Take it to the next level! At The School of Natural Health Sciences we offer 60 courses in holistic health therapies, five of which are nutrition based – Clinical Nutrition, Advanced Nutrition, Child & Adolescent Nutrition, Sport & Exercise Nutrition & Nutrition for Age 50+. Our diplomas are recognised in 26 countries, and all of our schooling is done online so there is no stress, no deadlines, no commute and no start up expenses!